The weather suddenly realized it was Fall and the temperatures dropped, we went from flip-flops to wool sock a matter of days. So the word of the season is SOUP. This recipe is from Food Network Magazine, October 2011. Heat the olive oil in a large pot over med-high heat. 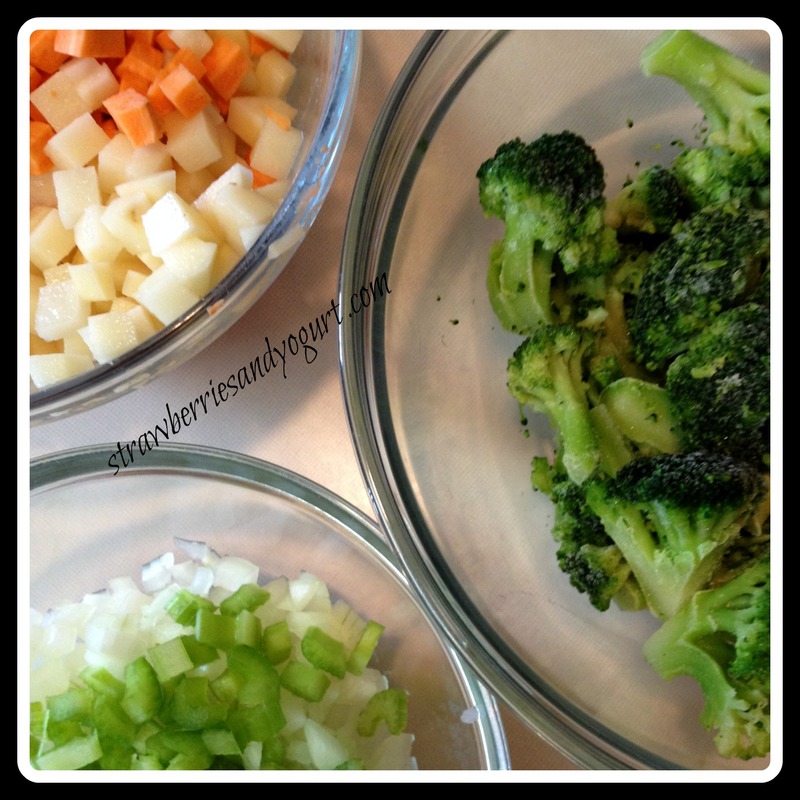 Add the onion and celery and cook, stirring, until softened, about 5 minutes. Add the chicken broth, half-n-half, both potatoes, bay leaf, 2 c water, 1 tsp salt and 1/4 tsp pepper and bring to a boil. Reduce the heat to med-low and simmer until the potatoes are tender, about 10 minutes. 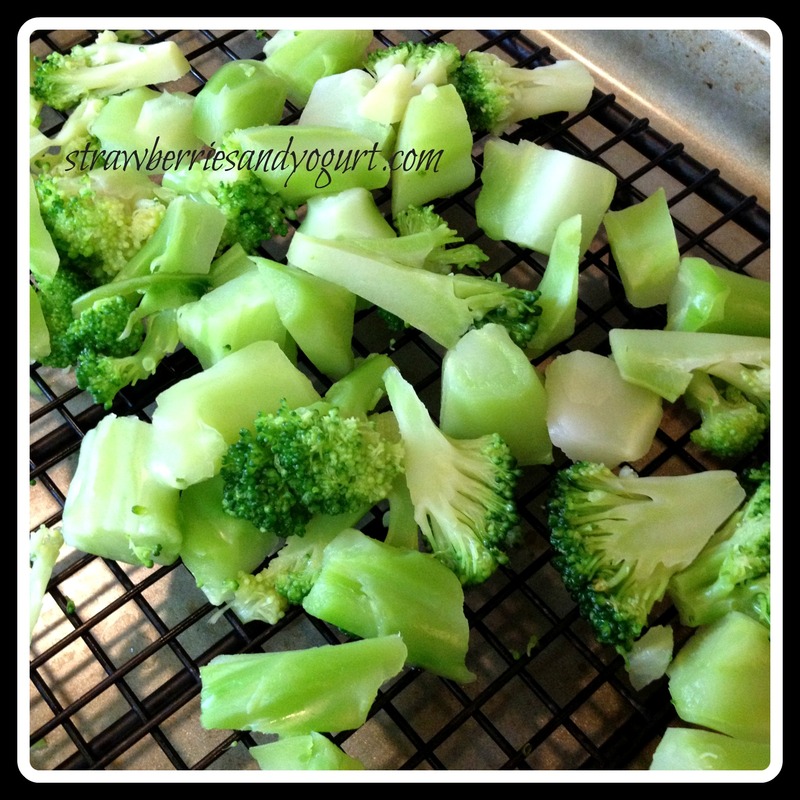 Meanwhile, put the broccoli in a microwave-safe bowl; add 3 tblsp water and season with salt. Cover with plastic wrap and microwave until crisp-tender, about 4 minutes, drain. When the potatoes are tender, remove the bay leaf from the soup and transfer the soup to a blender. Puree until smooth, leaving the filler cap slightly open to let steam escape (or puree the soup in the pot with an immersion blender). Return the soup to the pot and thin with water, if necessary. 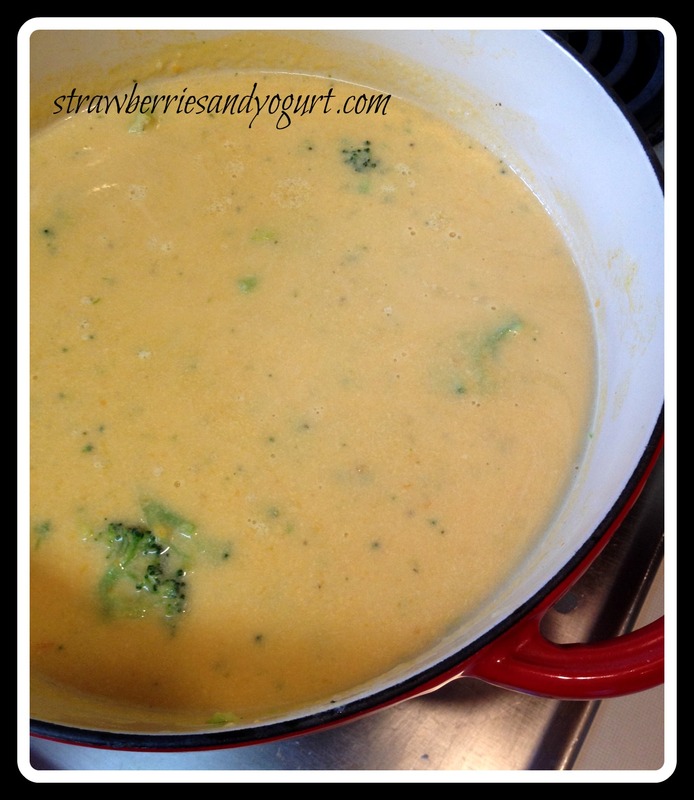 Return to a simmer over med-low heat; stir in the broccoli and season with salt and pepper. 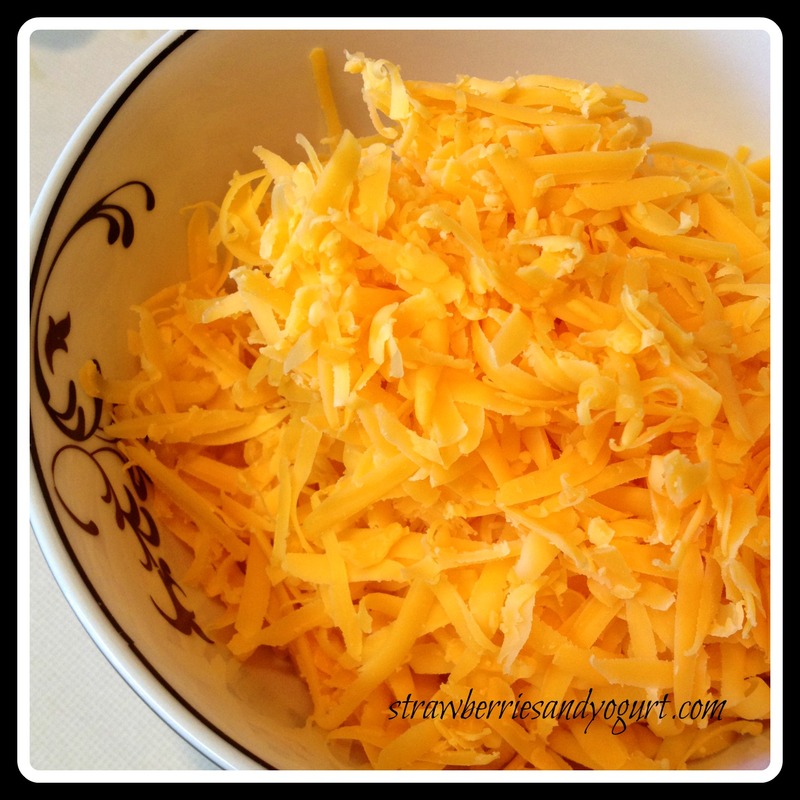 Add the cheese and stir until melted. Ladle the coup into bowls and top with croutons if desired. This soup was good, but not great. I’m wondering if a blend of cheese, cheddar and mozzarella? Maybe a little Parmesan? BUT, it was filling and hot on a cold Fall afternoon. My poor meat and potatoes husband. I keep feeding him these vegetarian meals. 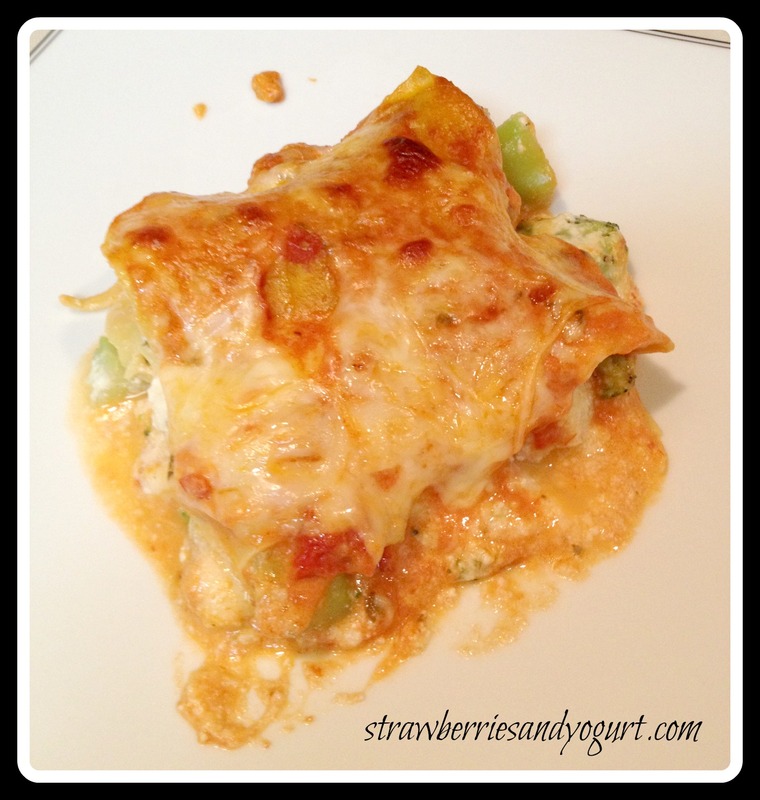 If he doesn’t love the dish, his comment will usually be “This’d be better with some chicken in it.” Fortunately, this lasagna didn’t get the chicken comment. This recipe is from Real Simple, December 2009. Heat oven to 400 degrees. 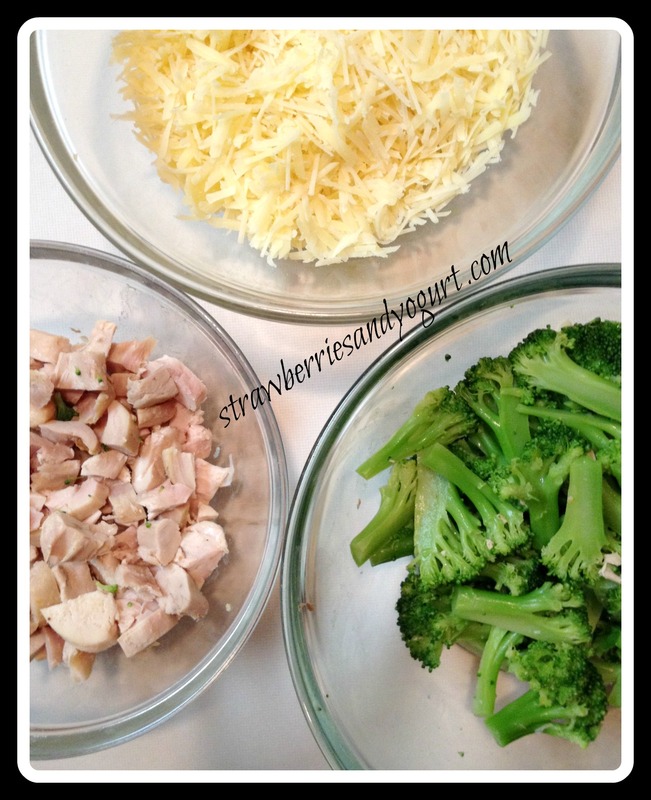 In a large bowl, combine the ricotta, broccoli, 2 cups of the mozzarella, 1/4 c Parmesan, 1/2 tsp salt and 1/4 tsp pepper. 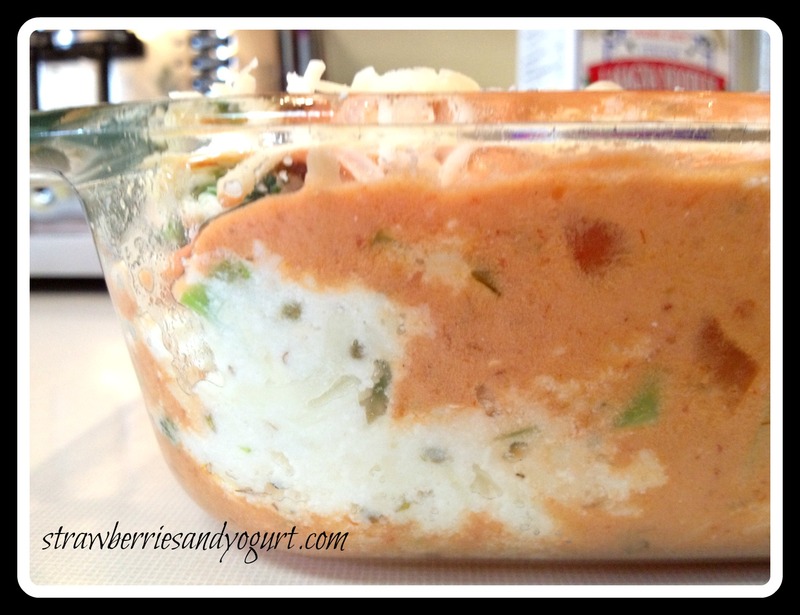 In a small bowl, combine the marinara sauce and cream. 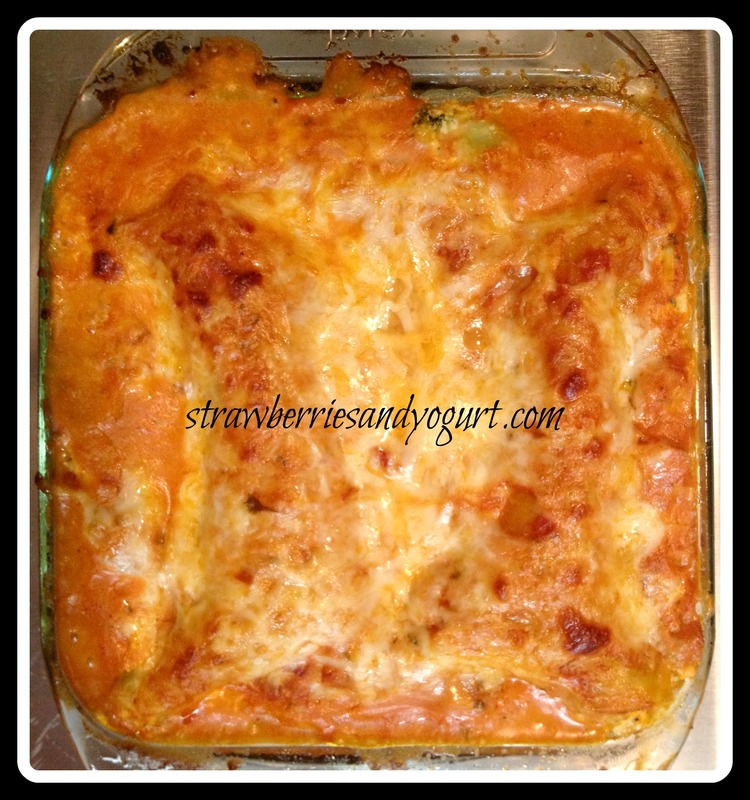 Spoon a thin layer of the sauce into the bottom of an 8-inch square baking dish. 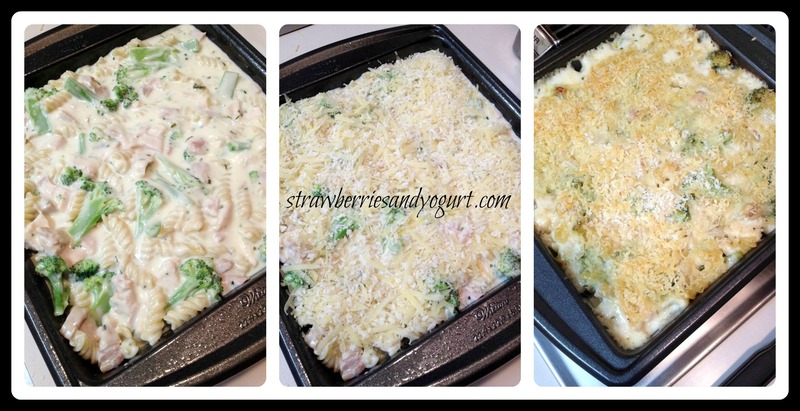 Top with 2 noodles, a quarter of the remaining sauce, and a third of the broccoli mixture; repeat twice. Top with the remaining 2 noodles and sauce. sprinkle with the remaining 1/4 c of mozzarella and 1/4 c of Parmesan. Cover tightly with an oiled piece of foil and bake until the noodles are tender, 35 to 40 minutes. Uncover and bake until the top is golden brown, 10 to 15 minutes. 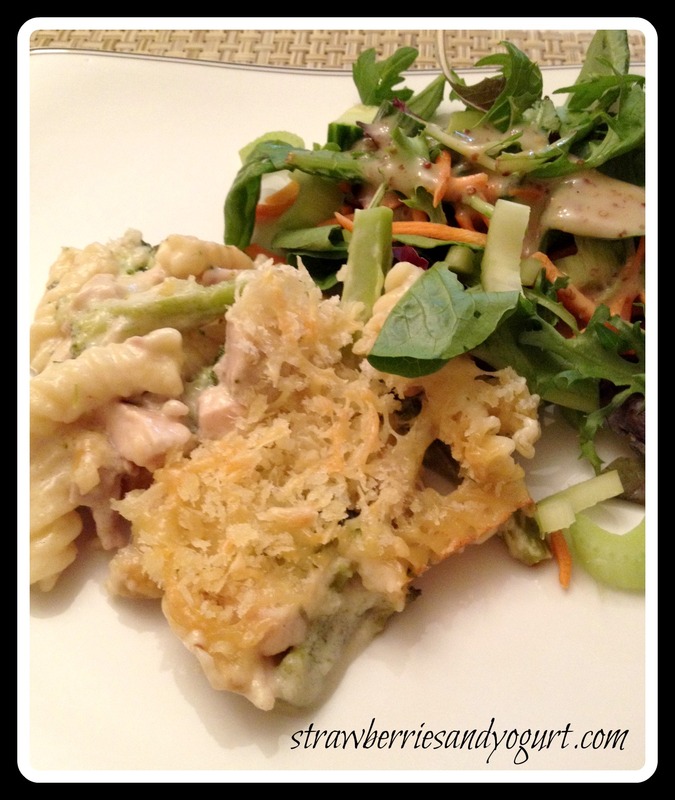 Broccoli, cheese and noodles – what could be better? 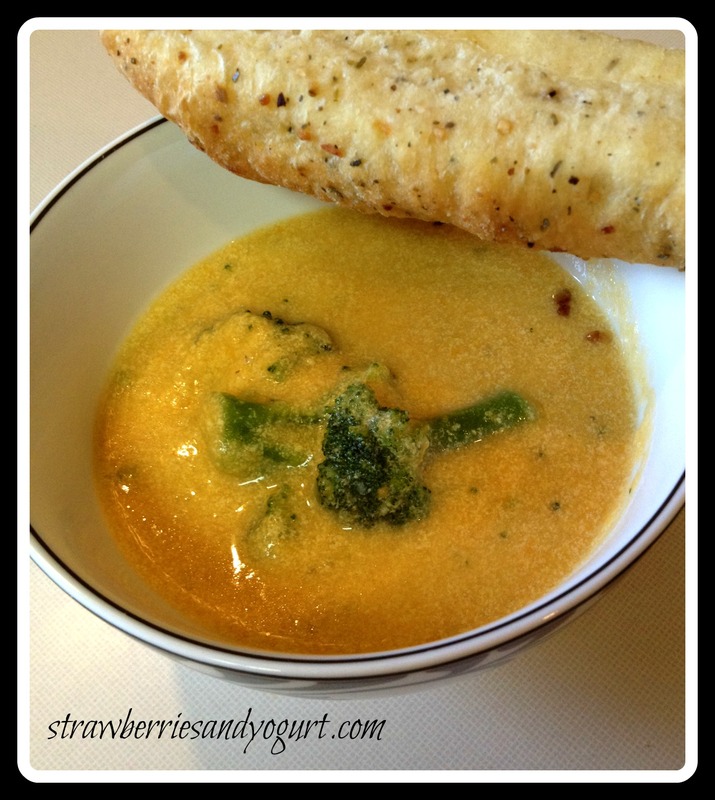 The heartiness of the broccoli stands up to the richness of the sauce with cream. Total prep and cook time is about an hour and half, but so worth the effort!